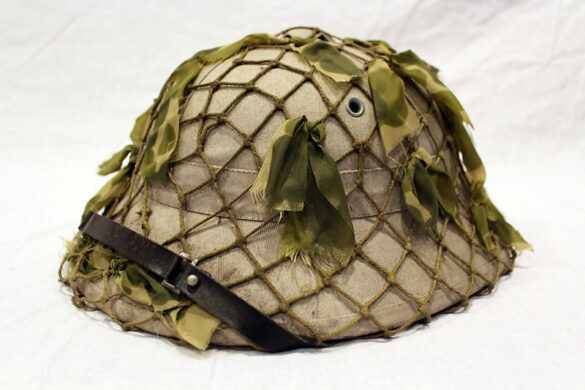 This pith helmet is modern reproduction of the type worn by both Viet-Minh and Viet-Kong troops. 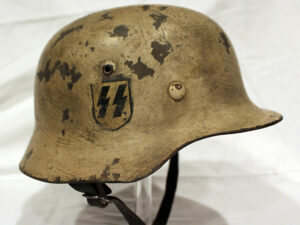 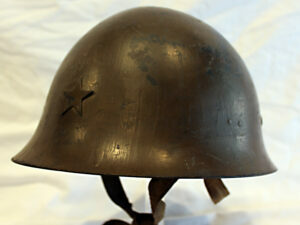 This type of helmet would see action during the French and later American war in Vietnam. 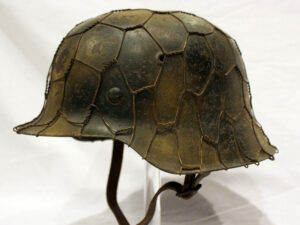 The helmet has been carefully aged to reflect typical sun damage and the wear and tear an original vet bring back might exhibit. 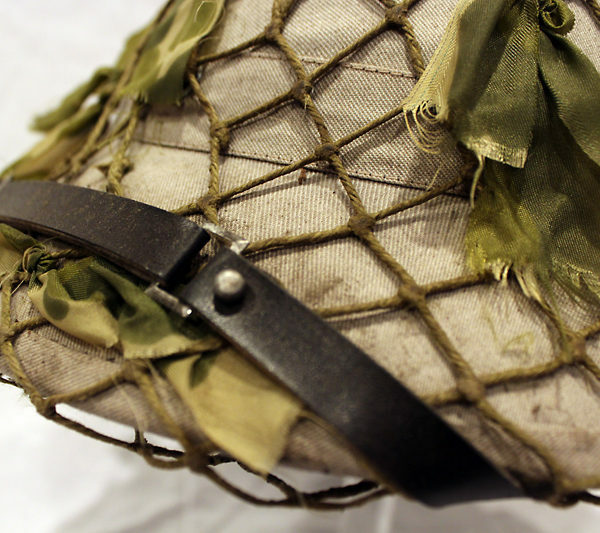 The helmet has been fit with an old cotton net, typical of the type used in this era. 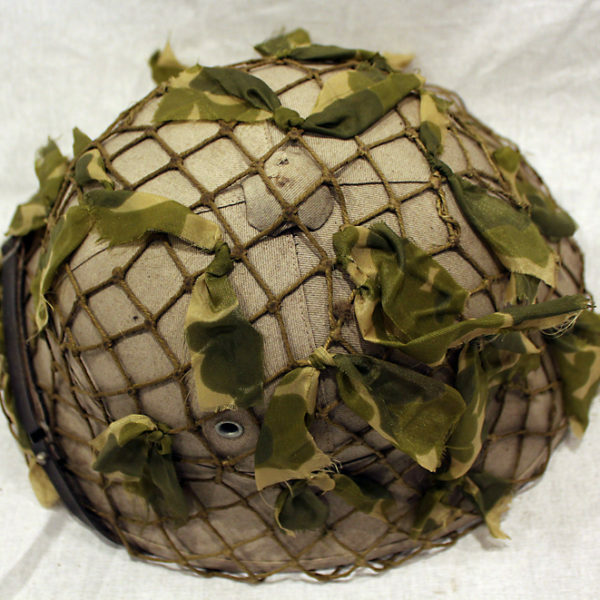 Small bits of original American parachute silk has been tied to the net for camoflage purposes. 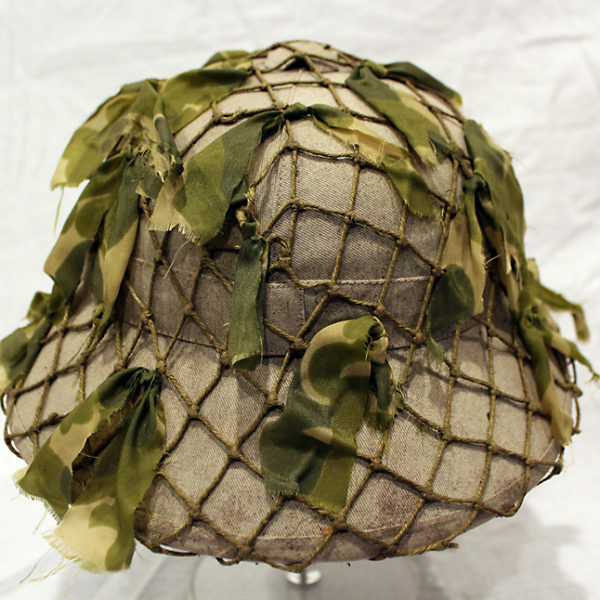 This was a pretty popular camoflage methods by the Vietnamese during both wars, as discarded parachute silk was easy to obtain. 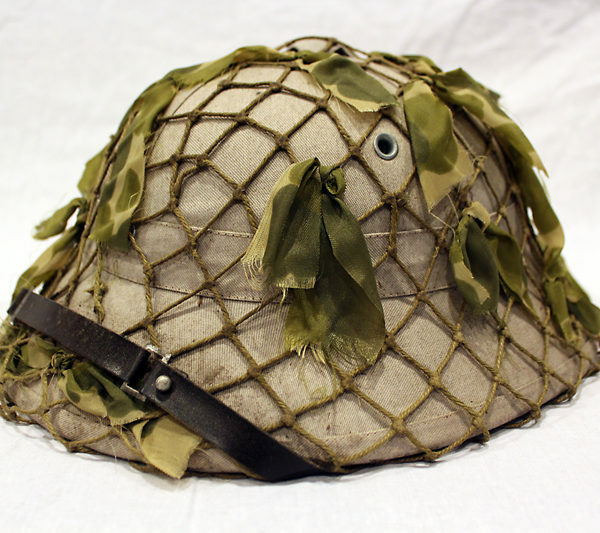 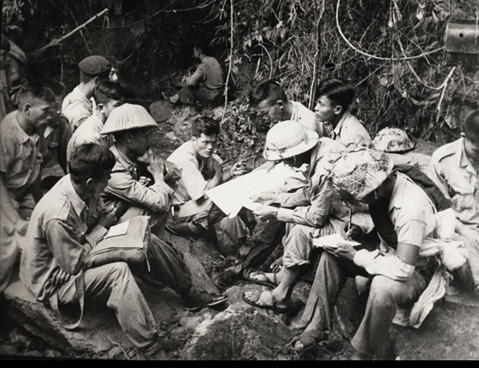 True Vietnam pith helmet vet bring backs are become quite scares. 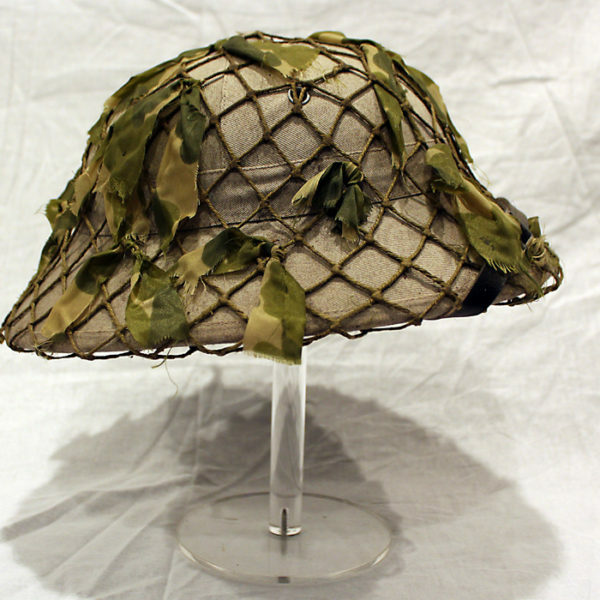 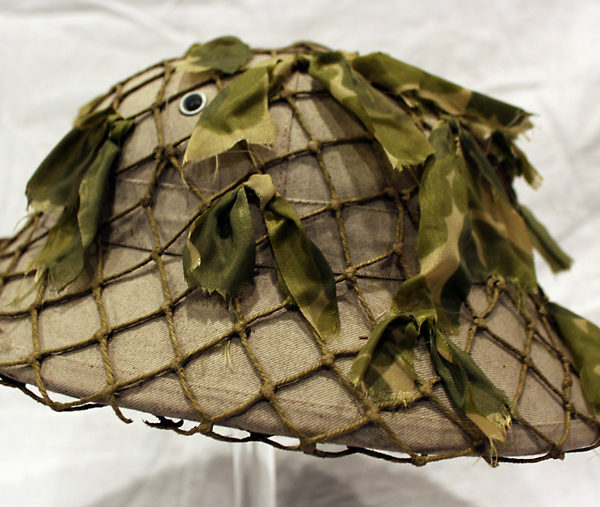 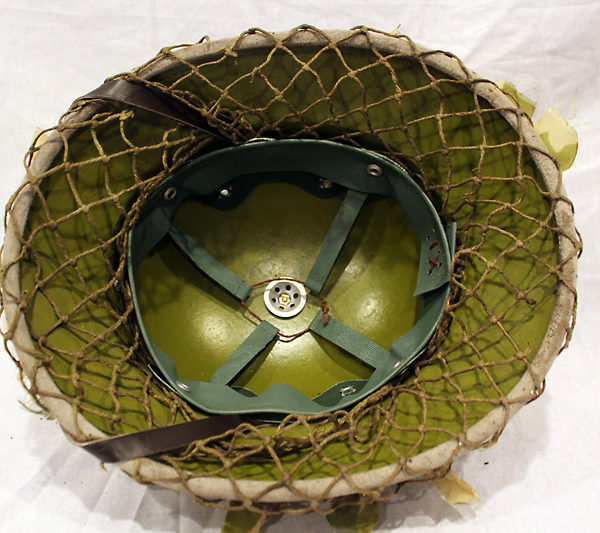 If you have ever wanted the helmet of both Dien Bien Phu and Khe Sanh, here is your chance to have a great example for your collection at a reasonable price.